The Farmall H had a sliding gear transmission with five forward gears and one reverse. In a Nebraska Tractor Test on the gasoline-ran Farmall H in October 1939, it produced a max belt power of 26.20hp, and a max drawbar power of 24.17hp. Max belt fuel use was 2.3 gallons/hour. When the distillate-ran H was tested in November 1939, it had a max belt power of 23.3hp and a max drawbar power of 21.4hp. I recently received a job of taking down an old barn inside I found what I think is a 1938 farmall tractor. I do not have the time or money to restore it for it has sat for at least 40 years. If anyone is interested please send me an email. How can I purchase a print of the photo at the top of the page? @Dean, you would need to find and email or call the owner of the photo and ask for their permission. If you click on the image, it will take you to their photobucket account. I grew up on H tractors. My Dad had 3 of them. He still has 1. They are excellent tractors, never had a problem. I wish I had a brand new one. I Have a 1942 Farmall H that is stuck in 2 gear, can’t get it out, any help? I have a Farmall H stuck in Third gear. What do I do to get it unstuck? Thank you for giving it some thought! If I split a 1941 Farmall H and a 1949 Farmall H, will the 49 rear end match up to the 1941 or is the pilot bearing a different size? I also have a Farmall H stuck in gear. Shifter feels like fork broke or came out of position. Thank you for any help. What weight of hydraulic fluid and how much does the Farmall H Tractor take? 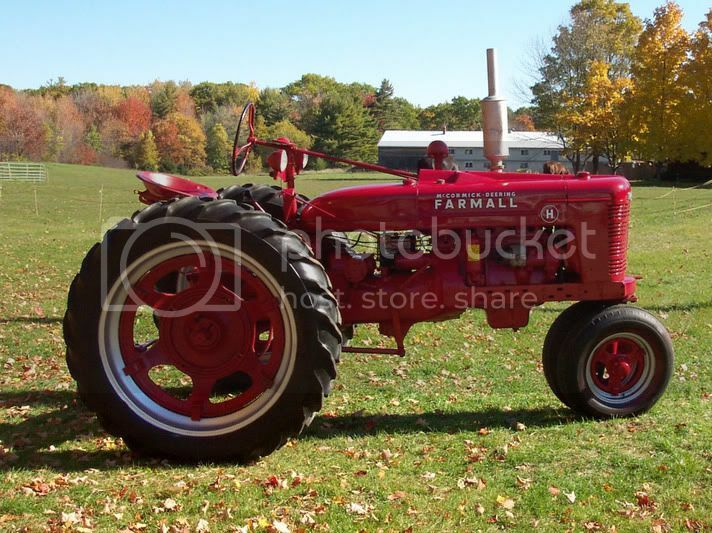 I am looking for Farmall H to fix & ride it cross country for pancreatic cancer awareness. My mother in law suffered from this horrible disease for 8 months. Any assistance getting rolling across the USA will be greatly appreciated. Thank you!! The milk man.